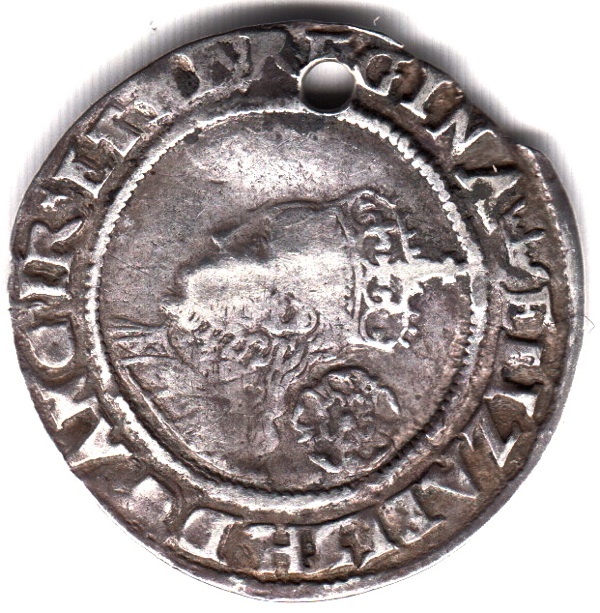 As you can see, my collection has grown as I have discovered that coin collectors are eager to dispose of pierced coins at low prices and I have taken on the responsibility of wearing them on behalf of their previous owners. It was only when the string broke in Princelet St one dark night in the rain and I found myself scrabbling in the gutter to retrieve them all that I realised how much they mean to me. Still waters certainly run deep ! I like the idea of this. 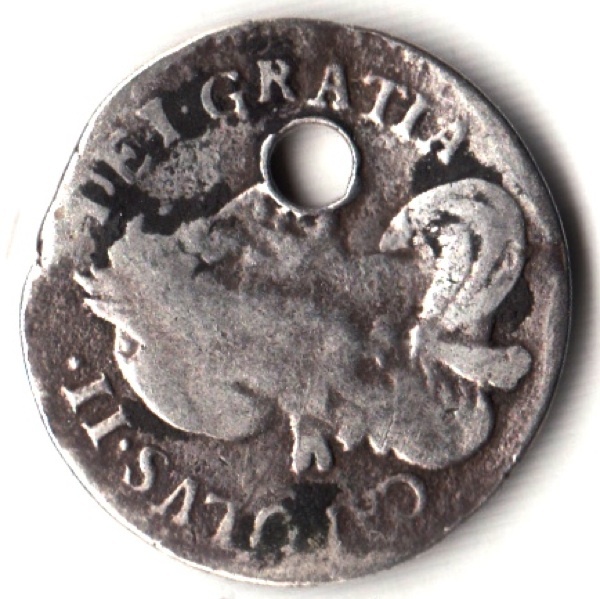 I bought a 1960 (the year of my birth) threepenny bit with a hole drilled in a couple of years ago. I don’t wear it around my neck but on my key ring. I love wondering whose hands it might have gone through. It does give you a sense of perspective. 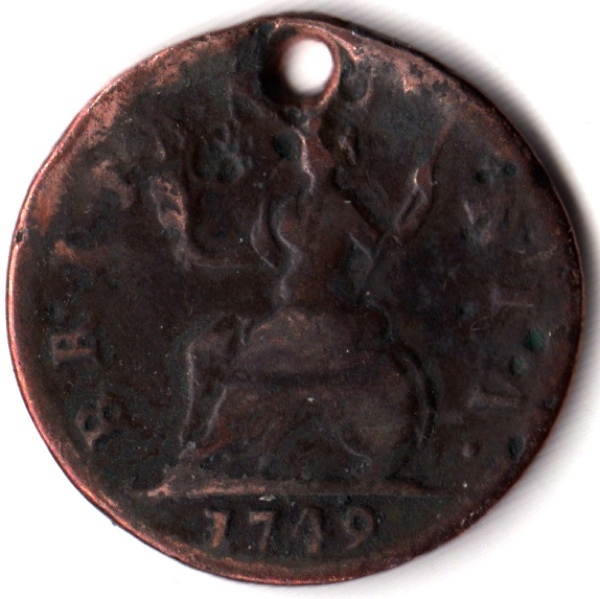 Farthings were gong out of use before I started High school in my country but I had never heard of a half farthing before .It shows how degraded our currency has become with most small demonination coins being discontinued. Cheers and a Merry Christmas!! 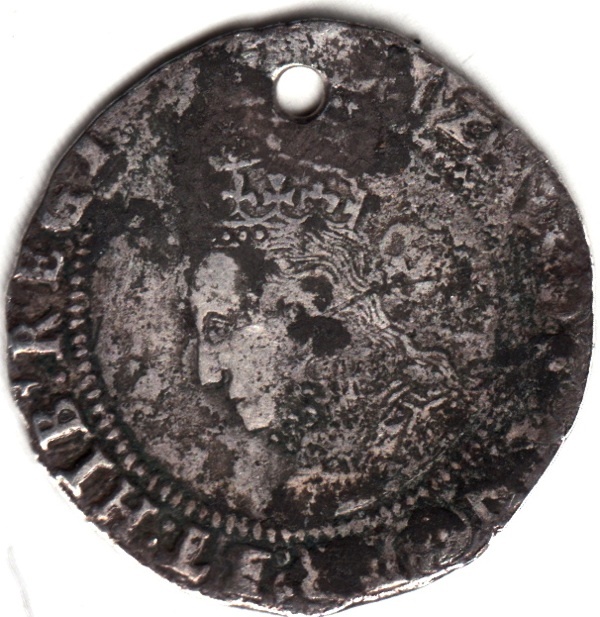 Ron B.
I like your collection of “ruined” coins. A couple of minor comments however. 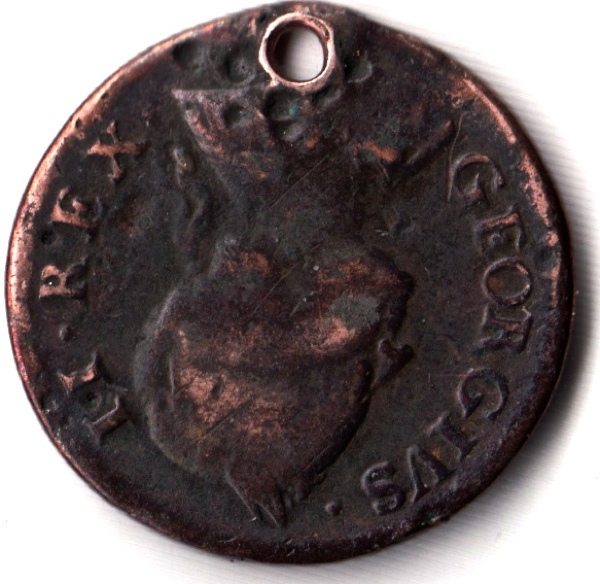 If the roman coin is Arcadius it can’t be from the London mint which closed under Constantine about seventy years earlier. 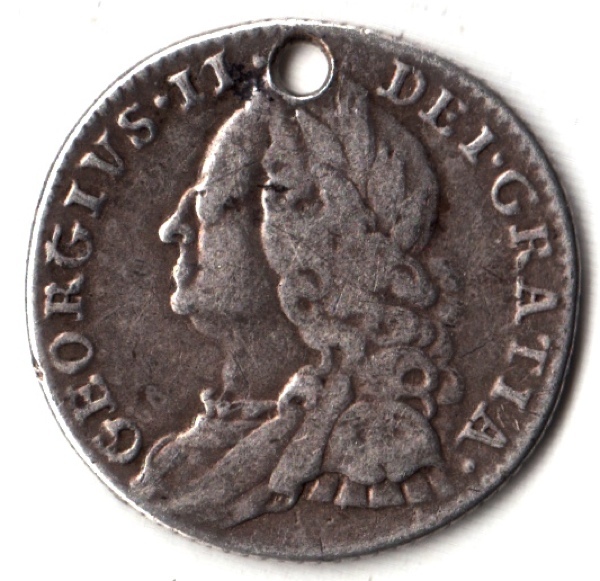 Also the Charles II 1676 sixpence is a 3d. 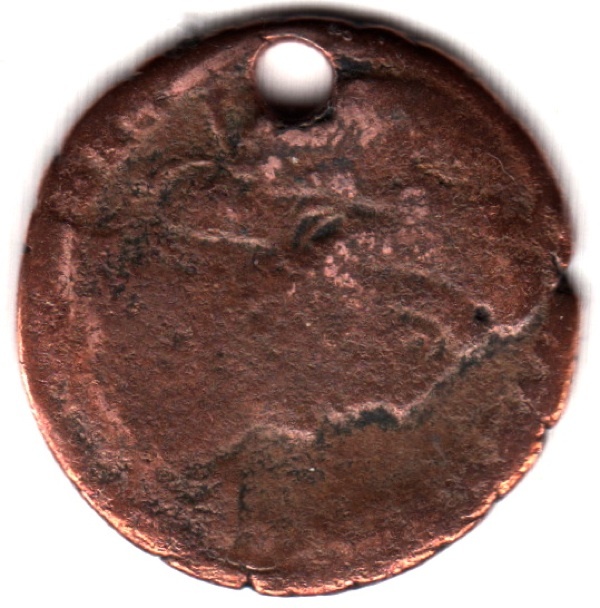 I’m touched by the tangible connection these coins have created between you and the souls who wore them centuries ago. I hope their spirits walk with you and give you guidance, comfort and protection. “wearable” aspect of them. 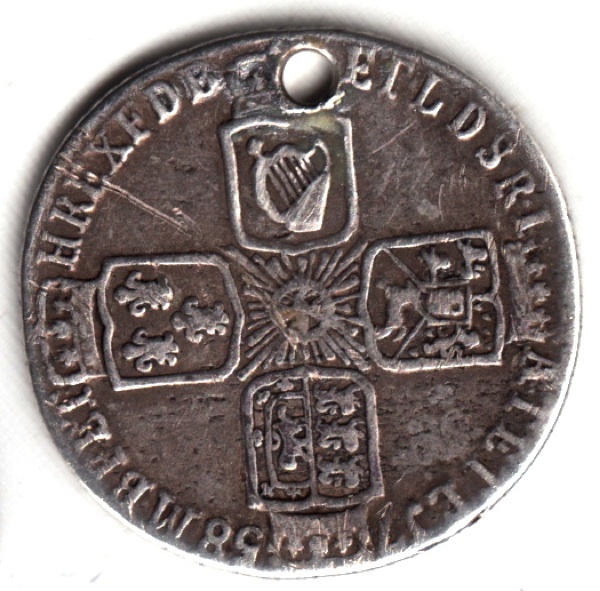 To have such incredibly-fascinating coins……and to ALSO know they have been worn as regalia — Well, that is very special indeed. Thank you for sharing so much with us, including this admirable collection of wearable history. String them like pearls and tie a knot between each coin. Then if the string breaks you won’t be scrambling for more than one coin. 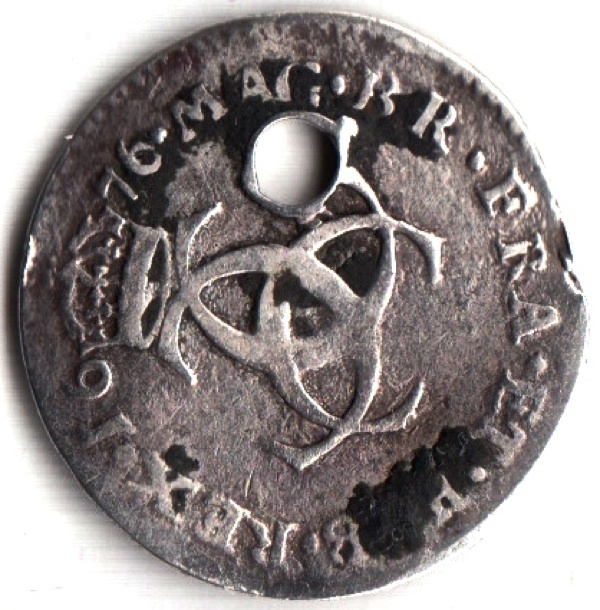 If I were wearing these, I would put a jump ring through the hole in each coin, then use a chain and put the jump ring through the loop in the chain. Then no breaking and no scrambling. Rather like a charm necklace. 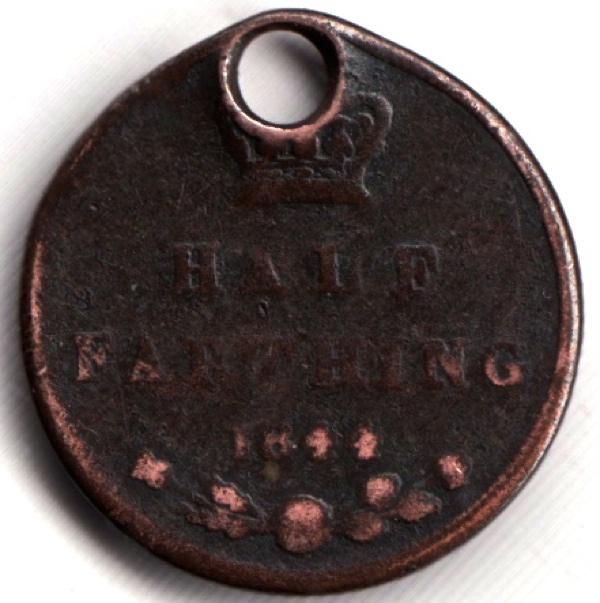 I have a “birthday farthing” I bought on eBay. It bears the date of the year I was born. 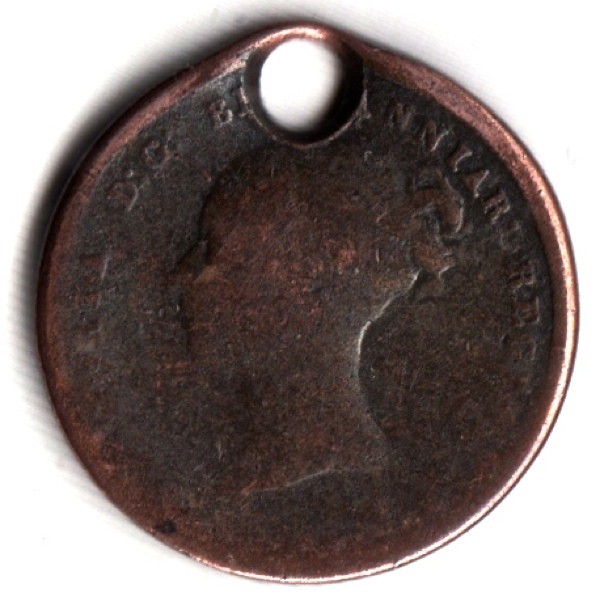 I bought a coin locket for it so I can wear it as a pendant on a chain as it has no hole. I’ve thoroughly enjoyed reading this and looking at the photos. 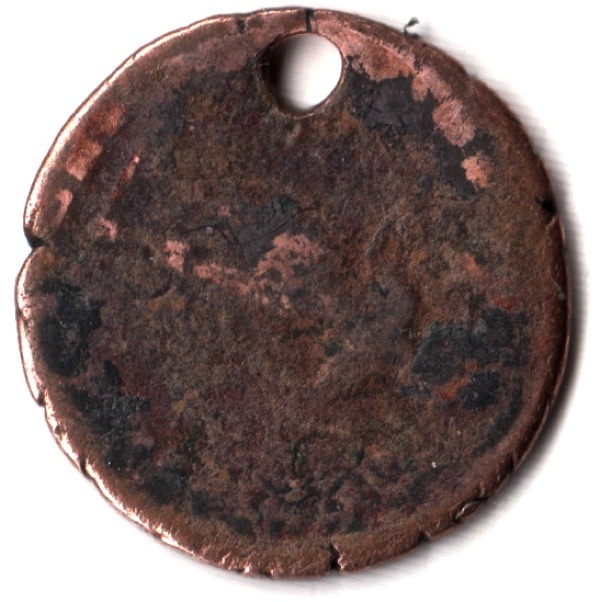 I now know that all I want for Christmas is a Roman coin with a hole in it. I was surprised to then see this post from you, GA. So glad you didn’t lose your wonderful coins. Thanks for telling us about them! 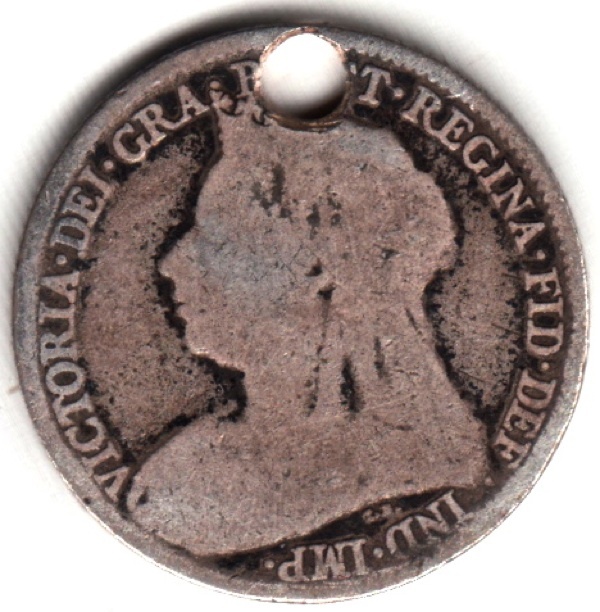 How good of you to wear history daily for the inhabitants past of London and londonium. They would be amazed at the city that has grown to replace their own, but perhaps comforted that their world is not forgotten. 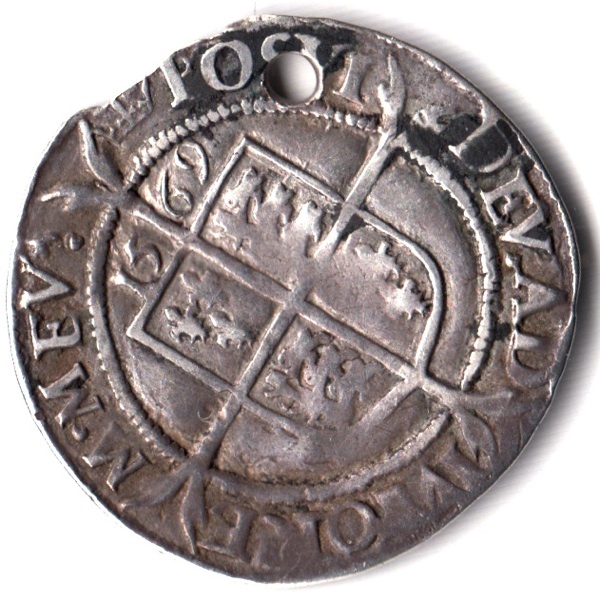 “Silver sixpence minted at the Tower of London, 1602″. 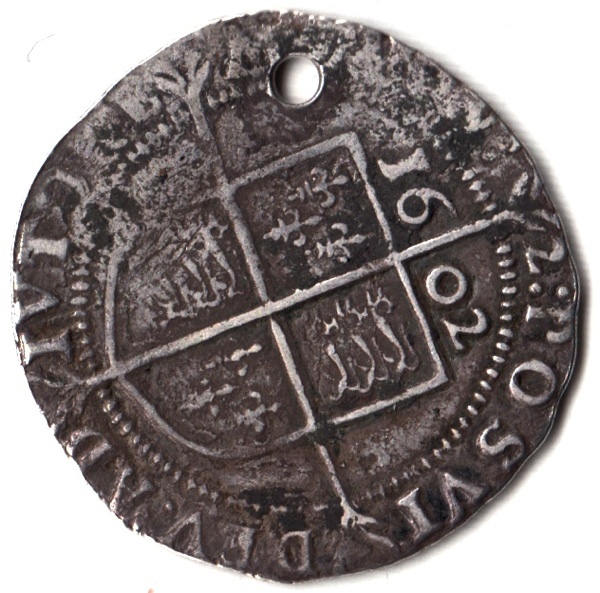 How much did a sixpence in 1602 represent in terms of wealth? Was it a weeks wage for a labourer? A month’s for a laundress? 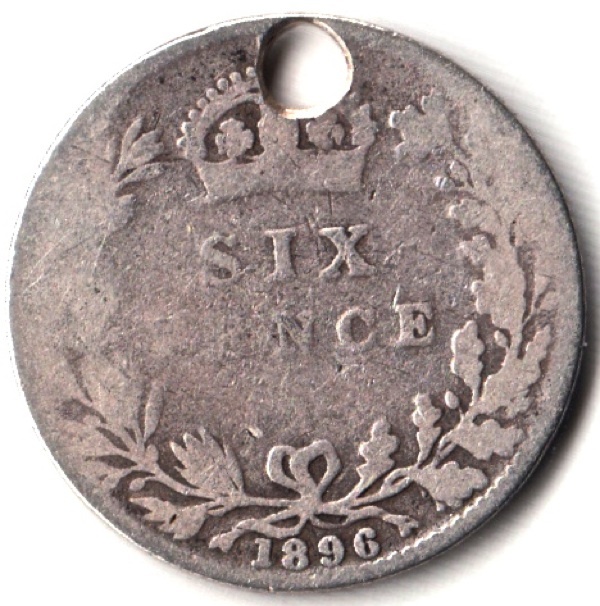 Is you wearing it around your neck the temporal equivalent of walking around with a thousand quid around your neck?! !